Microsoft, PEPSI and Galaxo pharmaceuticals are among the participants. On the 21 and 22 of February Alexandria will be hosting the sixth round of ALEXA employment fair under the auspices of Hany El-Mesiry governor of Alexandria. Director of the fair, Rania Al-Sherbiny stated that more than 60 local and international companies will take part in the event. 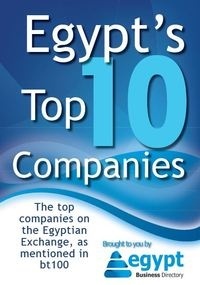 Among the participants are Pepsi, Nile Sugar factory, Galaxo pharmaceuticals, Lecico and Microsoft. She added that the Emirati initiative "Baaydak" will hold professional training sessions for graduates with professional qualifications. Several small and medium-sized enterprises will take part in the event as well as representatives of job-finding websites like Jobzilla and Bayt. The fair is expected to attract 25 thousand job seekers. ALEXA is considered one of the biggest employment fairs in Egypt and it attracts local and international companies; the main aim of the fair is to create direct communication channels between companies and fresh graduates. The event comes in line with the economic summit that will be held in Sharm El-Sheikh in March. The summit is expected to attract investments and projects that will generate employment opportunities for youth.